Starting 21st February, the Full Tilt Online Poker Series XXIX gives players of all bankrolls the chance to share in $1 million of guaranteed prize pools. 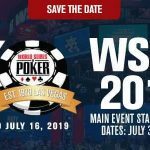 The Full Tilt Online Poker Series (FTOPS) may not be the beast it once was, but there is still plenty to appeal to players of all bankrolls in the schedule of events for FTOPS XXIX. Over the twenty-two days of action from Sunday February 21st until Sunday 13th March, players can compete in forty-six tournaments in a wide variety of formats, with buy-ins to the events starting at just $25.00. 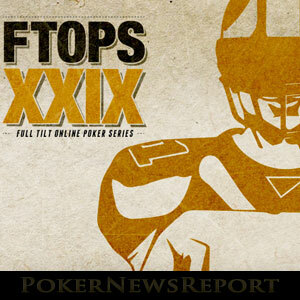 A comprehensive satellite schedule accompanies FTOPS XXIX, and Full Tilt is also running several special promotions alongside the series that will enable fifteen players to qualify for the $250,000 guaranteed FTOPS Main Event from freeroll level. As usual, Full Tilt will also be awarding golden jackets and golden jerseys to each event´s top performers, and there is another $5,000 up for grabs in the FTOPS XXIX leaderboard competition. Unlike many online poker series that are top-heavy with NL Texas Hold´em events, there is a superb variety of formats within the FTOPS XXIX schedule. 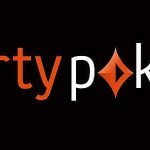 Omaha, Stud Poker and Razz are well represented amongst the forty-six tournaments, and players who enjoy mixed poker games will love the options available to them – ranging from the five-discipline HORSE tournaments up to a twenty-five game multi-entry event. Several fast-fold Rush Poker tournaments are included in the schedule, along with Progressive KO events and a Flipout tournament – in which every player is all-in for the first hand, and the winners of the first hand then settle down to play a “regular” tournament assured of having cashed in the event. Although the majority of the tournaments have long levels, there are also some in turbo and super-turbo format to please players who like their games to conclude a little faster. 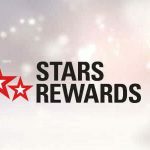 If you fail to qualify for an event through any FTOPS XXIX satellite between now and Saturday 20th February, you can enter the special Golden Parachute freeroll on Sunday 21st February that awards fifteen seats into FTOPS XXIX #1 – a $100.00 buy-in full-ring NL Hold´em event with a $100,000 guaranteed prize pool. Sunday 28th February – Play for one of ten entries into FTOPS XXIX #16 – a $250,000 guaranteed NL Hold´em tournament with a $250.00 buy-in. Sunday March 6th – Ten seats will be up for grabs for FTOPS XXIX #31 – a $150,000 guaranteed mega-stack event with a buy-in of $250.00. Sunday March 15th – Ten lucky players will win free seats into the $250,000 guaranteed FTOPS XXIX Main Event – each worth $500.00. Starting on Sunday 21st February, Full Tilt will also be hosting FTOPS Free Pass Freerolls. These freeroll tournaments take place every day at 3:00pm (ET) and are open to any player who has earned at least one Full Tilt Point in the previous twenty-four hours. The top fifty players from each day´s freeroll tournament will progress to a Free Pass Freeroll Final on Saturday 12th March that has five FTOPS Main Event seats as prizes. The Free Pass Freeroll Final has a multi-entry format and players can qualify up to four times for the final by playing in the daily freeroll tournaments. Please note that registration for the daily FTOPS Free Pass Freerolls is manual, but qualifiers from each day´s tournaments will automatically be entered into the 12th March final. Throughout FTOPS XXIX, Full Tilt is continuing the tradition of awarding a limited edition FTOPS jacket to any player who reaches the final table of a FTOPS event. The forty-six players who win a tournament during the series will also receive a prestigious gold FTOPS jersey. Whether or not you live in a climate where you would be wearing a jersey and a jacket, these are still highly sought-after accolades. Even more prestigious than winning a FTOPS tournament is finishing on top of the FTOPS leaderboard – an achievement that demands supreme skill and determination. For this series of FTOPS events, ten prizes with a combined value of $5,000 will be awarded to the top players on the FTOPS leaderboard. 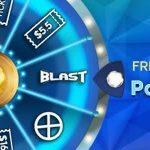 The top prize is a $1,250 Ticket Bundle that includes 3 x $250.00 tournament tickets, 3 x $100.00 tournament tickets and 4 x $50.00 tournament tickets.